The construction organisation Build UK are responsible for bringing workers from across the building industry together. Focusing on key issues which the industry faces, they represent over 40% of the UK’s construction trade. They also work alongside Trade Associations, Contractors and clients to deliver economically viable construction projects all over the country. They revamped the colour coding system for hard hats, to help improve onsite communication and to easily identify visitors and supervisors. Highways England have adopted this new scheme, as part of its ‘Raising the bar’ health and safety initiative which identifies the best practices, and raises standards, improving supply chain engagement. In addition to these new colour coding regulations, hard hat stickers will be given to both fire marshalls and first aiders. 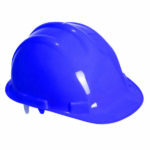 As with previous standards, all helmets deployed on work sites must conform to BS EN 397. The new standard and colour coding system will not be employed by Network Rail, as their PPE standards only permit the use of white and blue hats. For more information on Build UK, visit their website. Need hard hats? Then visit our online store.